I want to talk about the one question I always get asked by a lot of general dentists, “What is my favorite file system?”. Even though I don’t have a favorite file system, I do have my favorite files, so I want to share them with you. 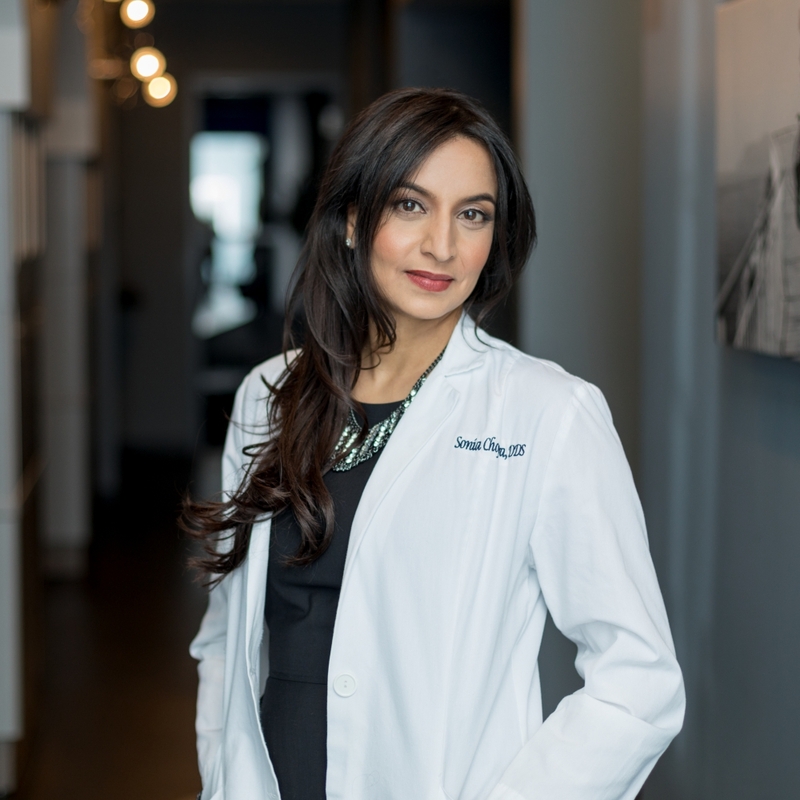 You can watch the video here, or read the transcript below about endodontic files. I’d love to know what files YOU use, and why you use it. Leave a comment below and let me know, and ask me any questions you may have. For my top four files, we start with the C file, specifically the 10C file. I really love to start all of my cases with this file in order to get my working length. I like a C file a lot better than a K file because it helps me get through a lot of that calcification in order to get my working length really fast. It is one of my best friends! The next thing I do once I’ve gotten my working length, is I hop onto my S1 Gold. I am a bit of a Protaper girl – I started out using the Protaper Universal, but now I use the S1 Gold. I really love the Protaper Gold when I have a really curvy canal because these files really bend and then they hold that bend nicely. One of the main reasons I love the Gold system so much is because the shank is a little bit shorter – it’s 11mm as opposed to 13mm. So for me, since I get a ton of second molars, I find it a lot easier to get these files into the patient’s mouth. I know it’s just 2mm, but it makes such a big difference, making everything a lot easier for me AND the patient. So, I have to say the S1 Gold is my favorite file, because when I use it, it just feels like butter – it’s so smooth going in and out and I love that it cuts the canal walls. A lot of my reps have been trying to get me to switch – I’ve even tried the WaveOne Gold, but I keep coming back to this file. Now the S1 Gold is not foolproof, so I also use the ProGlider. The S1 is a coronal shaper, so it will really cut in the coronal aspect of the canal, but sometimes I just can’t get to working length that easily, so I need the Proglider to assist my S1. You need to be patient with the whole process. Sometimes I’ll go back and forth between my hand files and my rotary files just to be safe – I’m really big on safety! The Proglider is like a mini Protaper essentially. It broadens your path from the hand file to your rotary file, so it’s not really to create a path. Any pathfinder file that you use is not really meant to break down calcification – it’s really meant to take the path that you created with your hand file and make it from one lane to two lanes, so that your rotary file can go a little bit smoother, and more importantly, safer. So that’s what I use my Proglider for when I need it, which is not in every case. A lot of times my S1 will go to working length just fine. I do use the Proglider to make that bridge between the hand file and the rotary file. With the Proglider you have to be safe and make sure you have a really good glide path with your hand file. So always be patent with your hand file before you use your Proglider. And again, sometimes you have to go back and forth between your Proglider and your hand file until the hand file goes all the way to length. But sometimes these files can be used back and forth just to open it up at the top so the file can slide more to the apex. The next file that I love is the S1 Universal. 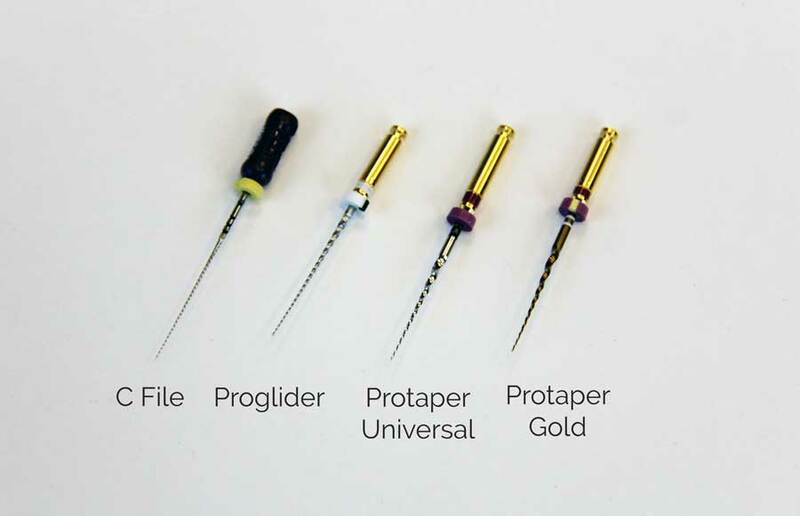 I still use it although I primarily use the Golds to shape my canals – I still can’t let go of the S1 Universal. It is a little more stiff, it doesn’t bend like the S1 Gold, but that’s why I like it. It helps me find additional canals. So I love to use it specifically for my MB2 when it is under a little bit of dentin, I will use this to get the canal started. A lot of dentists will try to use a hand file to get into these tougher canals, but I go straight to my rotary, and just open up the first 2-3mm of that canal with my S1, and then I switch to my 6C file or my 8C file to get down in the canal and to achieve patency. But first you’ve got to get it started, and I love to use my S1 Universal. It’s kind of funny, with the S1 Gold I don’t feel I can use it in this function, and so I have to have a few of my S1 Universals to handle that task. Now I don’t have to use all of these files in a case – sometimes I do if it’s a really tough case – but hopefully I don’t have to use all them. But I know when to use these, and in what sequence I need them. Once I get to working length with an S1, my case is a breeze. I feel like it’s almost done, and after that it really doesn’t matter what system I use. I can pretty much use anything to complete the root canal. So those are my top files: the 10C File, a Progilder, an S1 Gold and an S1 Universal. I hope that this is helpful for you! Whatever floats your boat girl! Hi Dhruv – thanks so much for sharing your technique!! Thanks for all your tips Doc. My pleasure! And thank you for following! Thank you for your video!! It is very helpful. This is not really a comment, but a question…. Can you tell me why my apex locator will sometimes not read?? ?